Mongolope My nose made me do it! 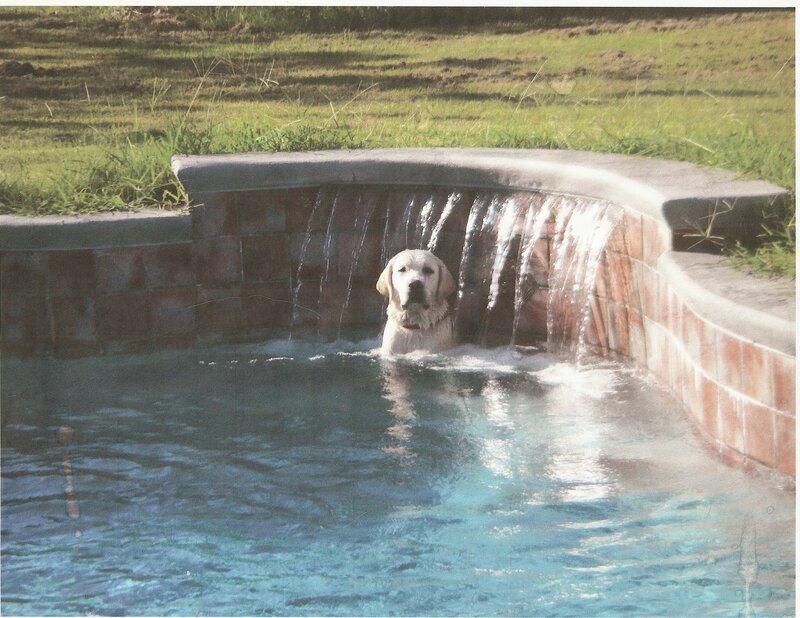 This blog is centered on Mongo the Labrador Retriever. Mongo was born on November 5, 2009. 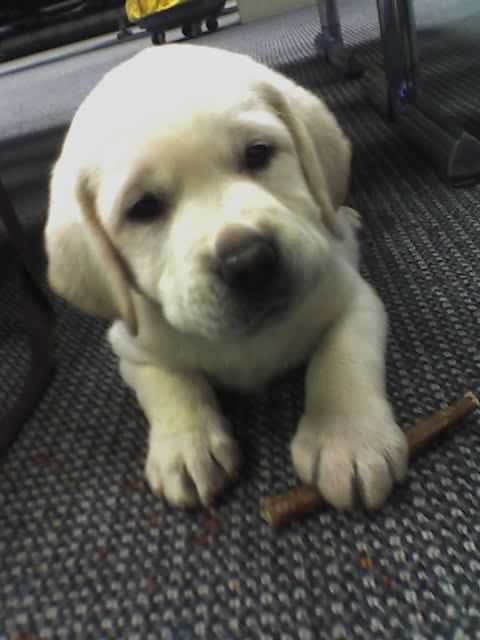 He is a technically a yellow lab, but he is so light, he is often referred to as a “white lab” or a “polar lab.” He was born at the Ridgeview Kennels in Huntsburg, OH. He has English lab bloodlines which is why he has such a big wide head and relatively short snout. That head lends him a bit of a mastiff quality. He also has long legs from his American side which help him cover ground, and a deep chest from the English side which helps him with buoyancy when he swims. These qualities, along with a very soft mouth, and an outsized motivation to work for food make him an outstanding field dog for waterfowl, and upland birds. Mongo has a excellent nose and can find one quail in a field of waist high grass. Mongo moved to Tulsa to be with his family; Dad, Mom-mom, Kimi the Girl, Drewbie the Boy, and Pippin the Golden Retriever . In Tulsa, Mongo was provided for by Dad, Mom-mom, Kimi the Girl, and Drewbie the Boy. However, Mongo was raised by little Pippin. Pippin took very good care of Mongo, especially considering that Mongo is socially maladaptive, even for a dog. Mongo is exceedingly playful and overly friendly, which quickly irritates less tolerant dogs, especially ones with pointy snouts and ears. When faced with irate canine assailants, Pippin always made sure to insert her little body between growling pointy dogs and poor baby Mongo. The amazing part was watching 100 lb snarling pointy dogs pull up short when a golden retriever grandma only half their size stood in their way. Even in the dog world, size isn’t everything. Mongo liked many things about Tulsa but not the heat. So he spent much of his time outdoors in the pool. In fact, he spent so much time in the pool, that he started to smell moldy. In 2010, Mongo and the family moved to Seattle. Mongo may be the only critter to ever move to Seattle to dry out. Eventually, the moldy smell went away. Mongo likes food, family, hunting, his jobs, walks, and playing, in that order. Mongo will do anything for food, as many of the posts in this blog attest. (Click HERE for an excerpt from a Smithsonian article on training different breeds of dogs.) He knows all his family members and can find them by name. He is a first rate bird finder and retriever, as written about in the blog, and is also very dedicated to his jobs which include fetching the paper every morning, and bringing catalogs back from the mailbox. His is also very intelligent and correspondingly creative in his play. And because he is a lab, he still plays like a puppy even though he is well past the age most dogs, and even most other retriever breeds have settled into adulthood. Mongo is a very gentle fellow, with big soulful eyes, and a happy disposition. These traits make him quite the ladies’ man, and the family has had many offers to “take that gorgeous fellow off [their] hands.” However, his family is happy to have him, and unless he eats something lethal (which happens frequently, and is documented in the blog), they plan to have him around for a long time. One of the other subjects occasionally covered in the blog is Dad’s travels. Dad has been to many exotic locales, most of which are not Mongo-friendly, so these posts are covered under the category of what Dad does when Mongo can’t travel.